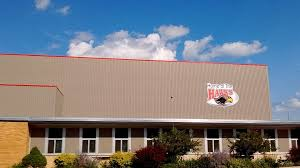 This year, the Hawks Post is is taking questions from students of Shawano Community Middle School studetns to help them prepare for their upcoming transition into high school. Stay tuned for more each month! Question: What is one thing we need to know about being a High School freshman? What a great question. I remember asking the same question when I was in your shoes! High school can be a tricky thing, and everyone does different things in their four short years. The main tip I would give you is to get involved. Once you enter high school, you may feel overwhelmed, but our high school offers so many activities to engage students in extracurricular activities. There is a club, production or a sport for everyone to join, and if there isn’t, create your own! I’m sure you’ve heard people tell you that high school goes fast, and you roll your eyes or mumble something under your breath, but it does. One second it’s your first day of freshman year, and the next you’re looking into colleges. High school can be the best or worst years of your life, depending on how you spend them. If you get involved in something that interests you, I promise you won’t regret it. Don’t go through your days with an empty calendar. Take the step and try something new. Great things happen outside of your comfort zone!